As fans hunt for the next stage of the newly obtainable Prisoner / Snowfall skin, PC files have been found indicating that stage 3 cannot be obtained currently. The hunt for stage 3 of the Prisoner skin began after players discovered a key in Polar Peak which unlocked stage 2. As of the time of writing, the hunt continues without leads. Fortunately, Redditors on /r/FortniteLeaks have discovered new strings within the Prisoner’s assets which indicate that the upcoming environmental campfires are required. 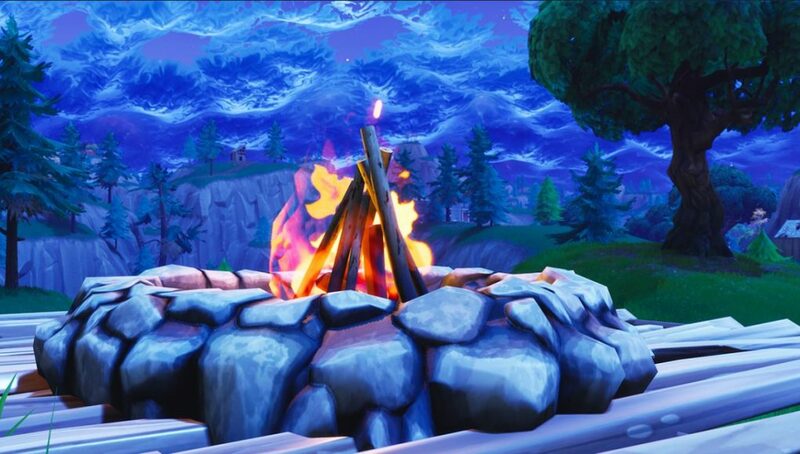 Epic Games teased major changes coming to Fortnite’s Campfires in late January. These changes are expected to land in the v7.40 update the week of February 10th. We’re deploying a change soon that will extend the campfire gameplay further by allowing players to interact with the existing campfires found throughout the environment. Interact with the wood pile in order to light the fire. From that point on it behaves just like a Cozy Campfire: healing nearby players and burning out after 25 seconds. According to the aforementioned assets, players will be required to search (use) the new environmental campfires. The exacts of the Challenge are not yet known, though are expected to develop as more updates to the game are made. It is not yet known how the fourth and final stage of the Prisoner skin will be obtained. Sticking to the theme of fire, what are your predictions?